Since April is Stress Awareness Month, we’re looking at some easy ways to improve health and reduce stress. What if you could lower your stress by simply going outside? Recently, a study made news by coming to the conclusion that spending between 20-30 minutes outside in nature demonstrably lowered stress in test participants. We look at the study and how you can fit some outdoor-time into your busy schedule. The study was reported here in Frontiers in Psychology. Researchers studied natural stress biomarkers, such as cortisol in saliva, to determine participants’ stress levels before and after what they called “nature events.” Over an eight-week time frame, a group of 36 people was tracked to see how spending time in nature affected their stress levels. The study found that spending 20-30 minutes in nature had a positive effect on reducing stress and was measurable in the measured biomarkers. Although the study was small, it does align with existing knowledge that spending time outside can have positive effects on mood. Disorders like SADD and less severe, but feeling gloomy, grumpy, or tired in the shorter, darker winter days have been commonly accepted for years in medicine. Some people who deal with mood issues during winter even use special lights to replicate the sunlight their bodies are missing. Similarly, getting outside on sunny days and spending time outside have been shown to have a positive effect on mood. Depending on your climate, it may not be comfortable to spend much time outside in the colder months; however, if as little as 20 minutes can reduce stress, it’s worth investing in some warmer gear to spend at least a short time getting out in nature daily – especially if you’re prone to stress and mood fluctuations. If you’re regularly stressed or find your mood picks up in warmer months, try to get outside once a day, even for a short walk. Find a park near your home or job; many parks have walking trails (both paved or wooded) that can give you a daily dose of nature. Get outside on your lunch break, and take advantage if your office is located near any scenic parts of the city or if your office has a walking path. Make getting outside in nature part of your fitness routine: Walking, running, hiking, and biking are all great cardiovascular activities that can get you moving and spending time outside. Remember: For hundreds of years, people rose and went to bed with the sun and worked outside the majority of the day. Office life and long commutes are a relatively new phenomenon, and it’ll be good for your emotional and mental health to get outside. Feeling stressed because you can’t enjoy what you used to? Body One Physical Therapy is here to help. 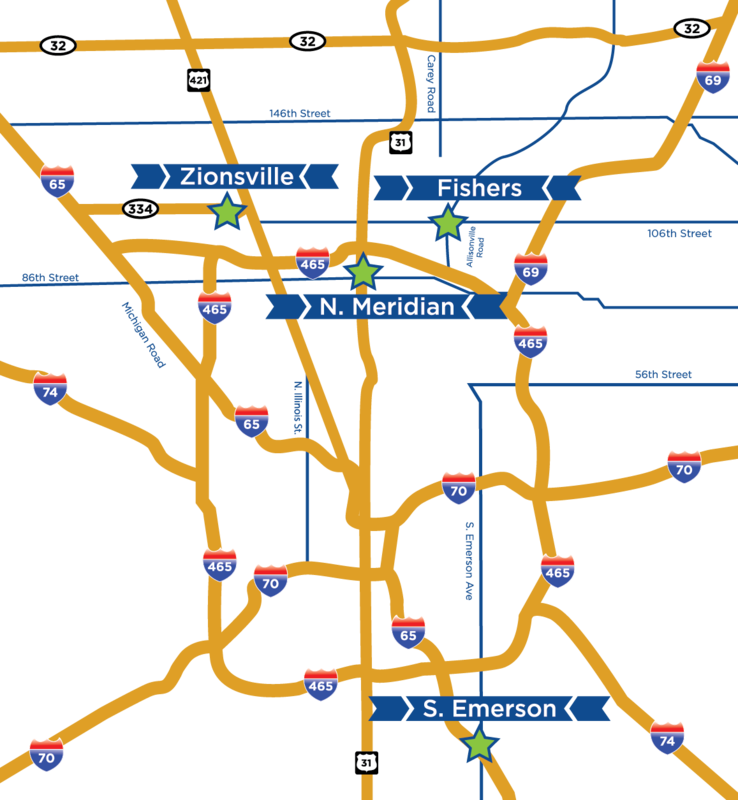 We’re locally-owned and operated with four locations serving Central Indiana: North Indianapolis, South Indianapolis, Fishers, and Zionsville. Our group of caring, expert physical therapists is ready to be part of your total health and wellness team. Don’t put off feeling better, call us today!